This landmark case, involving Google’s digitization project of scanning 20-million books to make them searchable through the Internet, was decided in favor of Google. “In my mind, this is a fair-use case that we will never see again,” Andrew Albanese, senior writer for Publisher’s Weekly, said, declaring the case a benchmark for future decisions. It was ruled that Google met the requirements of fair use and all four factors in defense of copyright infringement. 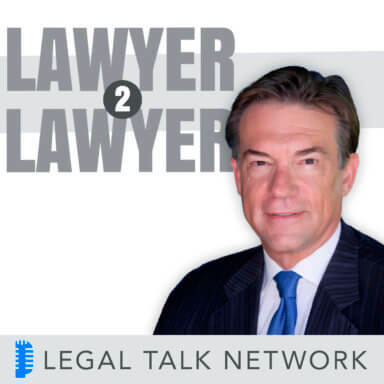 In this edition of Lawyer2Lawyer, hosts Bob Ambrogi and Craig Williams chat with Andrew Albanese about the case, whether this constitutes transformative use, and what this case means for the online-media industry as a whole. Andrew Albanese has been covering Google vs. Authors Guild since it’s inception in 2005. As senior writer for Publishers Weekly, he focuses on copyright wars and how the Internet is changing protected works. His book, The Battle of $9.99: How Apple, Amazon and the “Big Six” Publishers Changed the E-Book Business Overnight, covered the Apple price-fixing case and the introduction of e-books to society.